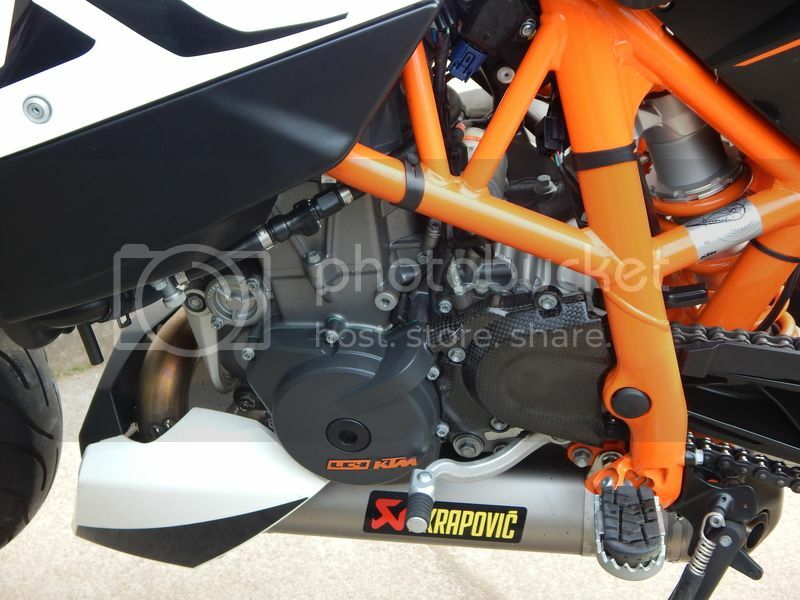 I really want to Chop in my Specced '07 R1 for either a Superduke "R" or a Duke "R" with some prize parts. Want an "Anytime" Bike (Not a "Do I have to"). As, all can see. The Duke is actually my favourite for my Jollies. Do I go Standard or "R"? What's the difference? I had a 690 with AKRO pipe and it took ages to get sorted. Will it be easy to slip the can on the "R" and enjoy? 2 or 3 days and "No Reply"? Is there something "Boring" about this post? Actually I know that most other manufacturers are catching up. But Hey! KTM! The "dogs" when they are going. \sorry If most members are being enticed by the deals on RC8s. Cheesey. Whizz? I've only been away 2 years!!!! Anyone on here, want to contribute as to reliability/Fun factor /Aftermarket and servicing? Or are most enticed by playthings and fashion? Not trying to take the piss? I find it difficult to keep up with the latest trend. And am somewhat surprised by some of the uptakes of modern users. KTM to my mind were always kindof "Out their". Guess they are just about mainstream nowadays? Although perhaps notsomuch, On the list? Last edited by fakujak72 on Sun Jul 03, 2011 10:13 pm, edited 1 time in total. What else needs to be said.. There are very few reliability issues with the SD/R. There can be a throttle snatchy issue but that can be totally dialled out with can, motobox and custom map. Ta. for the replies folks. 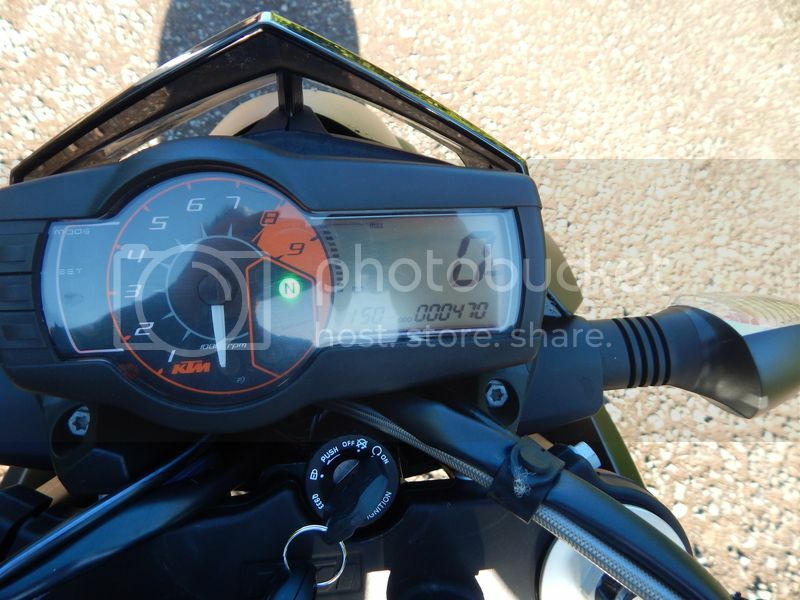 The 690sm with akro is now looking like a good contender. I threw lots of cash at my SD but it was a first model and could be tempramental. It was fine in the end but I had had enough. So I am more conscerned about reliability. I take it the 2010 SDRs were mapped and sorted? FFS! I don't want to be trawling the 120mile round trip. Back and forth to dealers. I got p*ss*d off with my Duke 3 and Akro in the snow and motorways. That I got fed up. Just after it was sorted/sweet. So The SDR is still not sorted? Surely the Duke R is? 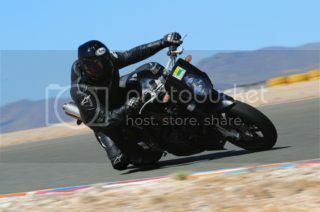 Seeing as my Duke 3 with Akro was fine when I chopped it in for my R1 in 2009?? 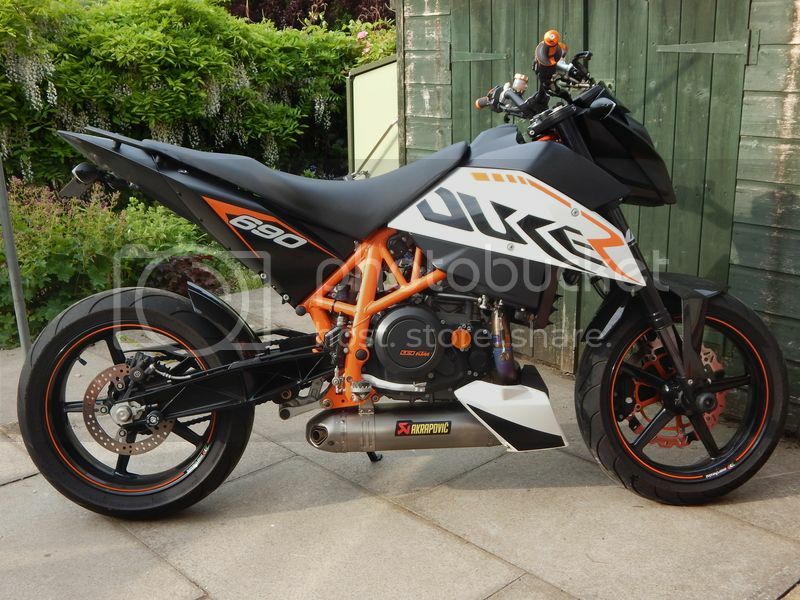 KTM.........Don't you just love them? Have a look at the TuneECU thread. It's easy to sort the mapping ourselves now. not many Duke III R owners out there I reckon, maybe even less than SDR owners! I think Plipton sold his SD for Duke III R, pm him for advice perhaps?! I love the Duke III R, I think the Akra is the same for the R as the standard Duke but dont quote me....call your dealer instead. I've ridden briefly with a standard Duke III on an Akra can and it sounded sweeeet. real sweet. 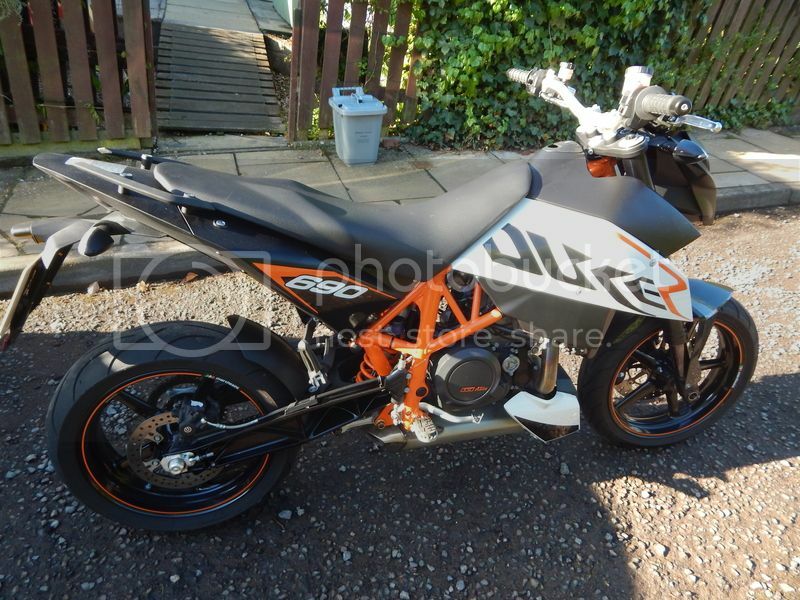 Would lve one as a 3rd bike and have even thought about selling the SDR for one......still not sure but doubt it'll happen as roads I have access too are too fast for it. ShadeTheChangingMan wrote: not many Duke III R owners out there I reckon, maybe even less than SDR owners! I think Plipton sold his SD for Duke III R, pm him for advice perhaps?! love those stats! Can you post a link to the site you use for it please? OK. Just seen that you can get PCPs on KTMs from a few dealers now. SDR is sweet. But not an everyday option TMM. TBH. After I traded my Duke 3 in I was back up at shop within a couple of days and it was there gleaming. Really need that ride anytime feel bike. The Dukes do it for me. Everytime. ShadeTheChangingMan wrote: love those stats! Can you post a link to the site you use for it please? It was on Top Gear and somewhere here the other week. Would appear there are no more Duke 3 Rs left. Sorry folks. 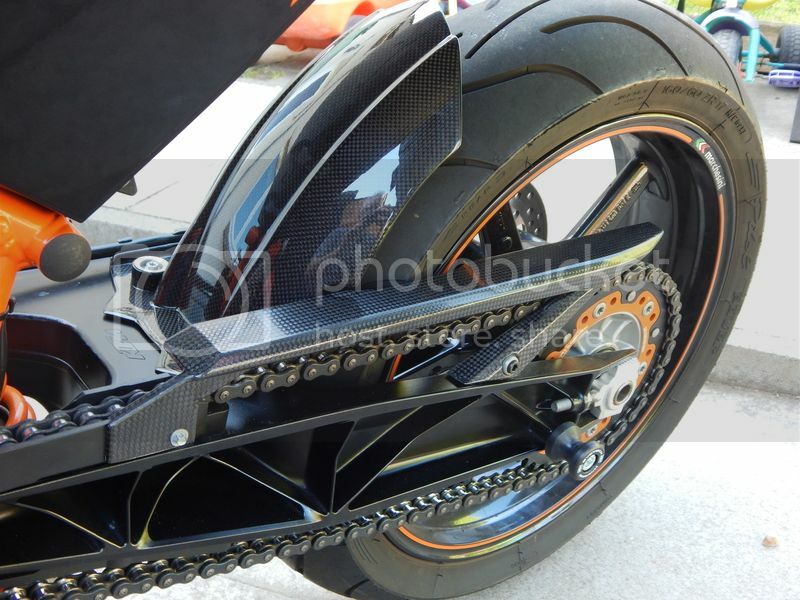 But it would appear that Duke 3 R bikes are indeed. A very rare breed. Did a search around to buy one and they seem to be rarer than Rocking Horse Sh1t. Atmo. And certainly for the forseeable future. I chopped my SDR in for a Duke IIIR. The 690 suits me better as I live on an island with a crap speed limit so light and flickable is better than heavy and fast. Plipton wrote: I chopped my SDR in for a Duke IIIR. The 690 suits me better as I live on an island with a crap speed limit so light and flickable is better than heavy and fast. Yep The Duke III of mine was certainly a lovely machine once I had it sorted. That is the reason I had decided upon the "R" version. Enquiries drew a blank though. However. On the bright side the SDR is ticking the boxes so far. I don't rember my carboned up akro mapped 2005 SD feeling quite like it. I tend to put more weight on the balls of my feet than on the seat anyways. I've not had a comfort problem so far. Recently got one. Practically, brand new!!! fakujak72 wrote: Recently got one. Practically, brand new!!! No kiddin' I've scanned the ads 3 times a week for the past 2 years for one of these for sale to replace my SDR. and a month after purchasing a Triumph STrx. An Eff all mileage "Minter" comes up for sale. Got it and hope to make it as good as your own. Mine's long gone - went up to the Wirral area IIRC. I have a brand new SC project exhaust still in its box if ever you feel the need for noise. Plipton wrote: Mine's long gone - went up to the Wirral area IIRC. Darn, Up until yesterday. 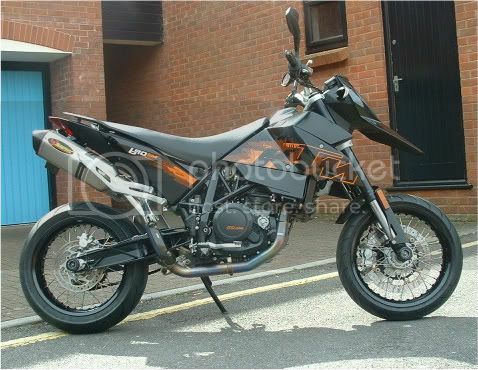 I still had my standard '08 Duke III with Akro, and was thinking about fitting one of those sideslung pipes. Jeez! Just sold it to finance the usual bling for the 'R'. Last edited by fakujak72 on Sat Jun 13, 2015 4:15 pm, edited 2 times in total.